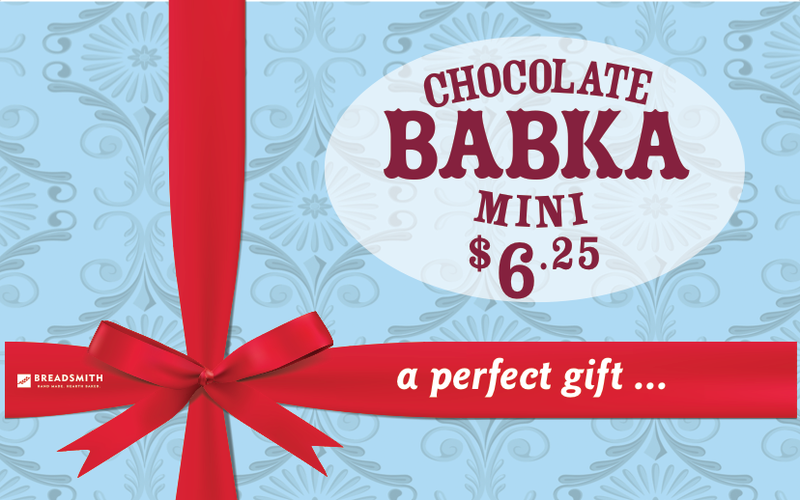 Breadsmith: Mini Babka is Back! Chocolate Babka returns to the bakery! Swirls of cocoa and a heavy dusting of powdered sugar on top make this a visually appealing gift. The recipe also includes a touch of almond extract and cinnamon. Chocolate Babka warms the spirit. 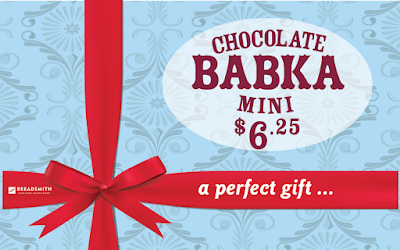 Mini Chocolate Babka in ready-to-enjoy packaging is now in season for a limited time! A perfect gift.